The incident took place at the Sears store in New Brunswick, New Jersey, and a city man videotaped the woman making bigoted comments. 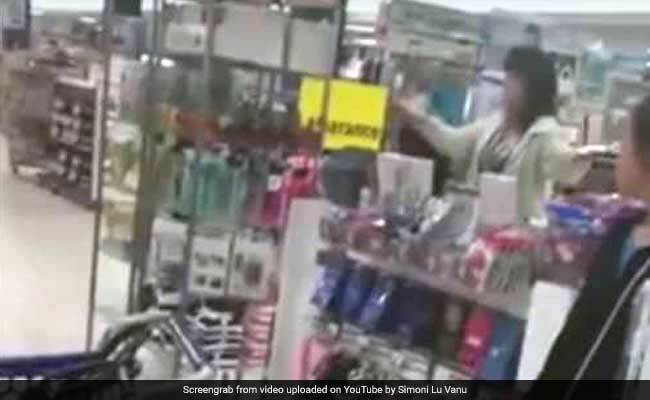 New York: A woman at a US department store allegedly made a racist rant against an Indian employee and a Latino family while in a queue, saying "you got an Indian waiting on an Indian". Simoni Lovano, 27, said he recorded the video on Sunday at the department store. In the video, a woman can be heard making bigoted comments against an Indian employee and a Latino family, who she assumes are of Indian descent, Lovano was quoted as saying by NJ.com. "Send them back to their own (country) country," the unidentified woman can be heard saying in the video. The woman was upset because the family was using coupons, which made the wait in the checkout line longer, Mr Lovano said. He said the woman was right to be frustrated with the lack of open cash registers, considering it took about 20 minutes to process the family's coupons. Mr Lovano said he started recording, however, when the woman began to blame the customers. She thought the family was receiving preferential treatment because she assumed they were Indian, he said. In the minute-and-a-half video, the woman can be heard saying, "You got an Indian waiting on an Indian, that's what it is." "They're not Indian," someone said to her. "I don't know what the hell they are..." the woman says. "That has nothing to do with anything," another person said, according to the video of the incident. Mr Lovano, whose family moved to the US from Sicily when he was a few years old, said Sears employees should have kicked the woman out of the store. Mr Lovano, who works at a biotechnology company in North Brunswick, said he hopes the video becomes viral so he can monetise it to raise money for social justice organisations that advocate for immigrants. Mr Lovano said he felt guilty for not standing up for the family at the time. He said he is glad he captured the incident on video, however, because "this is something that is happening right here in New Brunswick, New Jersey, a very diverse area."